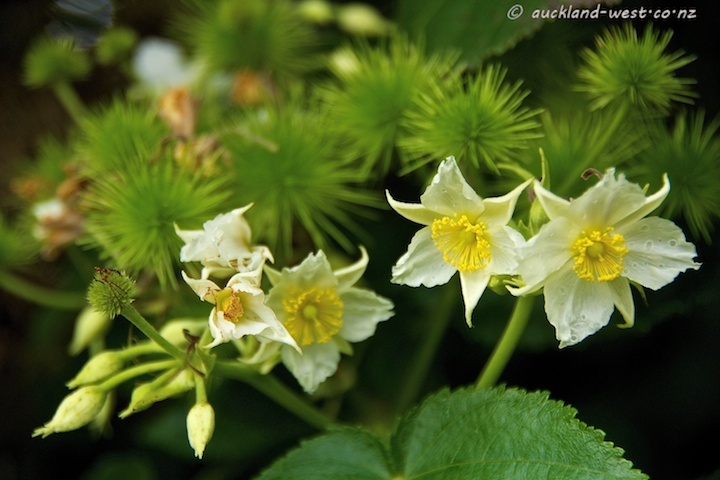 Whau (Entelea arborescens) is a New Zealand native shrub or tree, quite popular nowadays for plantings at motorways. 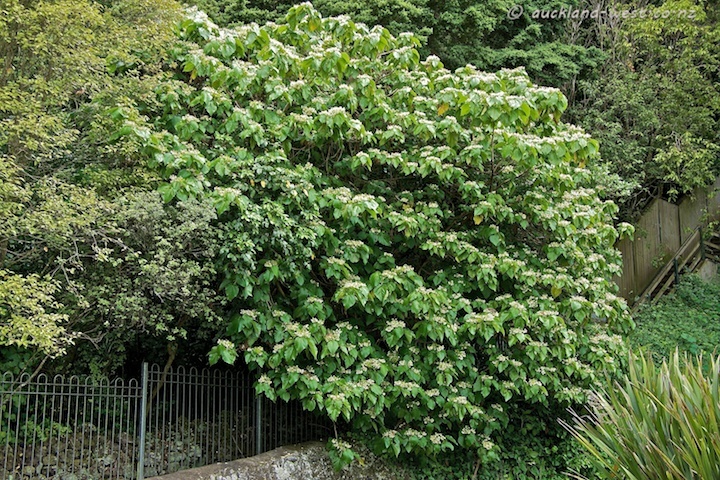 They are flowering at the moment, and we saw a huge specimen bulging out of the grounds of Government House, shown below. The prickly seedpods have featured in earlier posts, here and here.